[Excerpts] ...Jill Fladung said her husband, Mayor James Fladung, is not a bad man “but he has a drinking problem and we had to do something to make him get help.” Police were called to the Fladung house Saturday afternoon after he got into a struggle with his wife and their teenage son... Police said the struggle began when Jill Fladung installed new locks in the house, and when her husband came to the home, he somehow had a key... It may be a while before James Fladung learns about his mayoral status. Mayor Pro-Tem Troy Osborne said Tuesday the council will discuss the mayor’s arrest at Tuesday’s night’s work session, but they would have to meet in a regular public session to vote on his status. There are six town trustees, and it would take a two-thirds majority to remove the mayor from office. Fladung has been on the board about 10 years with two years as mayor. The mayor pro tem says he should resign. I want to be free of Martin Peters. I want to be able to go on with my life, without living in fear. I keep looking over my shoulders. U.S. Immigration and Naturalization Service Detention Enforcement Officer Juliet "Wendy" Alexander was murdered by the father of her 2 children, ex-boyfriend New York Police Sgt. Martin Peters on January 16, 2001. NYPD POLICE SGT. MARTIN PETERS QUESTIONED IN DEATH OF JULIET PETERS - Cops were questioning a police sergeant last night in connection with the murder of his ex-girlfriend - the mother of his two children. A man was also shot... The wounded man, Nigel Callender, 32, was hit by gunshots in the neck and back... Callender was expected to survive, but he will be left paralyzed, police officials said. "His story had changed a number of times," said one high-ranking police source... Neighbors told detectives they saw two men climbing in a window of Alexander's apartment before the shooting... Officers said Peters had gone to Alexander's apartment in the morning to pick up their two children, an 8-year-old boy and a 5-year-old girl, and take them to school... "His record is unremarkable," said the high-ranking official. "There is no history of domestic violence that we know of"... Alexander worked as a guard for the Immigration and Naturalization Service in Manhattan. She carried a gun on the job, but wasn't supposed to take it home. Cops found the weapon in the apartment, but said it did not appear it had been fired... Peters is regarded as a hard-working cop who often took on outside security work. He worked the midnight to 8 a.m. shift and had been studying for a nursing degree. [NY] WHO KILLED JULIET ALEXANDER? [NY] NYPD SGT. PETERS ARRESTED FOR KILLING MOTHER OF HIS CHILDREN - ...Detectives from the department's Cold Case Squad and the Internal Affairs Bureau, along with federal agents, arrested Sgt. 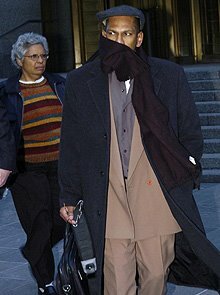 Martin C. Peters early yesterday outside his Harlem home, where he tried to run and was tackled by an Immigration and Customs Enforcement agent, one investigator said... After dropping off their two kids at school Jan. 16, 2001, Peters allegedly returned to the Bedford-Stuyvesant apartment of his estranged wife, Juliet Alexander, and shot her three times in the head and face. Peters then shot his best friend, Nigel Callender, now 36, who was also in the apartment, in the head, neck and hand, paralyzing him, according to an indictment... Callender now says Peters killed Alexander, then shot him. Spanakos said Callender declined to identify Peters as the assailant in the past because Peters threatened to kill Callender and his family... In court yesterday, prosecutor Mike Spanakos said Peters was upset that Alexander, 29, a guard at a Manhattan immigration detention center, had started dating another man and was also seeking additional child support. "Mr. Peters told Ms. Alexander he would not give her any more money and he repeatedly punched her," he said. "When she attempted to flee, he shot her several times in the head."... Months after the killing, Sergeant Peters won custody of the children, and the 13-year-old boy and 9-year-old girl have since lived with him and his wife, according to the authorities, who said that Ms. Alexander's mother, Sylvia Garcia, was expected to seek custody soon... Ms. Garcia rejoiced at the charges yesterday. "Now I feel on top of this world," she said, "because after four years I had hopes that one day justice would be served, and, thank God, it was... I will never see my daughter again... The only thing I can look forward to is him in jail for the rest of his life. He has to pay for what he has done." A federal immigration agent, coldly gunned down by her cop boyfriend, spoke from beyond the grave yesterday, her words of fear and anguish - written shortly before her violent death - given voice by the prosecutor at her killer's sentencing. "I feel something is going to happen and happen real soon," Juliet "Wendy" Alexander wrote on Jan. 3, 2001 - 13 days before she was shot three times in the head in her Bedford-Stuyvesant, Brooklyn, home. In the roughly 400-word personal essay, found on a computer disk by cold-case detectives hunting her killer, the 29-year-old Alexander wrote with chilling prescience of ex-beau Martin Peters, an NYPD sergeant with whom she was embroiled in a nasty child-support battle. "Martin once said to me, 'If I can't have you, no one will,' " she wrote in the essay, read in court by Assistant DA Michel Spanakos. "Now you see why I keep looking over my shoulders. If this is the way it has to end, I am prepared to meet my maker." Peters, 43, was convicted in September of shooting Alexander and putting his own best friend, Nigel Callender, in a wheelchair for life. At trial, jurors heard evidence that Peters had a six-figure debt and was struggling to make hefty child-support payments. Callender insisted to investigators that the shooter was a stranger, but in 2005, under pressure, he flipped and agreed to testify, braving death threats from his former buddy. 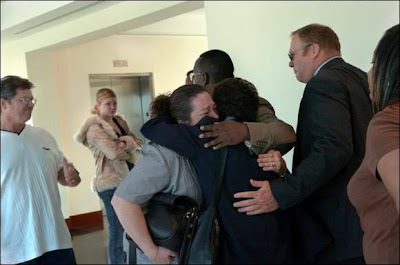 Alexander's heart-rending essay wasn't admissible as evidence at the trial, but proved useful at sentencing yesterday in sealing Peters' fate: 43 years to life in state prison for murder, attempted murder and witness intimidation. In the essay, Alexander revisited the tortured landscape of their 15 years together, much of which came out at trial before Justice Priscilla Hall - but never in her own words. "When I met Martin Peters darkness took over my life," she wrote. "I always thought that everyone had a mind of their own. I guess that I was not quite mature enough to deal with an older man. Although I was a woman who was physically, mentally and verbally abused, I was not strong enough to talk to somebody about it." Investigators found a card bearing an 800 number for domestic-violence support in the dead woman's wallet, but no evidence she ever used it. 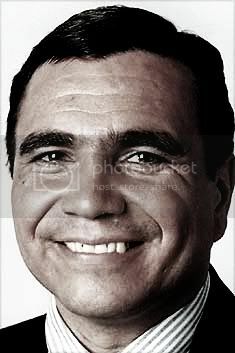 Peters, who has maintained his innocence throughout and even testified in his own defense, remained defiant. "I would like to let the court know that I did not kill Wendy," said Peters. "I did not shoot Nigel. These are things I would not think of doing and I am not responsible for any of these crimes." Mingled with the foreboding in Alexander's writing was the sense that she was on the verge of moving past Peters and leading a normal, happy life. "I want to rise above all my downfalls," she wrote. "I want to be free of Martin Peters. I want to be able to go on with my life, without living in fear. I want a miracle. I want to wake up one day and all this harassment and this abuse is all over." SAW HER OWN DEATH: COP IN GRIM DIARY ENTRY GETS 43 YRS. Juliet Alexander and police officer Martin Peters had a stormy relationship - and in her diary, she predicted he'd kill her. Peters was sentenced yesterday to 43 years to life in her murder. Juliet Alexander knew she was going to be killed. And her prophetic words - written just days before her ex-lover, an NYPD sergeant, pumped three bullets into her head - resounded yesterday at his sentencing in a courtroom packed with her weeping relatives and friends. "When I met Martin Peters, darkness took over my life," Alexander, 29, typed on Jan. 3, 2001, into the personal diary she kept on her computer. "The fear in me is so strong that I feel something is going to happen and happen real soon," Brooklyn prosecutor Michael Spanakos read, quoting from her entry. "As Martin once said to me, 'If I can't have you, no one will.' Now you see why I keep looking over my shoulders. If this is the way it has to end, I am prepared to meet my maker. Peters, 43, who joined the NYPD in 1996, had bragged that his status as an officer would shield him from suspicion. But last month he was convicted of killing Alexander and shooting and paralyzing his friend, Nigel Callender, who witnessed the Jan. 16, 2001, murder. Yesterday, a judge slammed him with a prison term of 43 years to life, as he continued to profess his innocence. "I did not kill Wendy," he told Brooklyn Supreme Court Justice Priscilla Hall, referring to Alexander's nickname. "These are things I would not think of doing." But prosecutors said Peters killed Alexander, a federal immigration officer, because she had been demanding he pay child support for their two children. 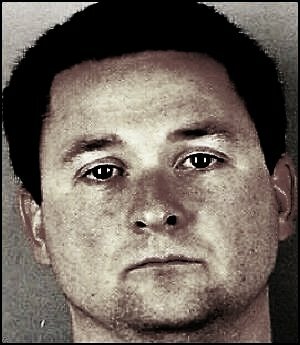 Dubbed Marty the Murderer by fellow cops, Peters evaded arrest for four years by threatening to kill Callender if he ever ratted - and even gained custody of his children. Then savvy NYPD Cold Case detectives finally threatened to press immigration charges against Callender if he did not testify. He relented and told jurors how Peters attacked Alexander - then shot him when he refused to help. Yesterday, Alexander's mother, Sylvia Garcia, said Peters used his position in the NYPD to intimidate her family and keep them from reporting years of physical and verbal abuse against her daughter. In the diary, discovered by detectives in 2004, Alexander wrote, "What do I want out of my life? I want to be free of Martin Peters. I want to go on with my life without living in fear. I wanted to reach the top. ... I want a miracle." Hall's sentence may not have been that. But for Garcia, it brought justice. "He deserved what he got," she said. "Finally, I can put my daughter to rest." Well, here we are with no do-overs. Yesterday 2 year-old Alyssa Eickmeir's dad had to sit in the same courtroom with Officer Nicholas Minet - his ex-wife's boyfriend -who caused the death of his princess daughter. Do you swing or curl up and just cry? Officer Minet was being arraigned on charges of first-degree assault and abuse of a child, with more charges expected now that Alyssa has lost her fight to live. The judge revoked his bond and he "resigned." Why didn't the Kansas City Police Department have the balls to FIRE HIM? How do you OPT to resign when you have killed a tiny little girl? If I didn't run into aNOTHer Kansas City PD RECENT child abuse case I'm sure I wouldn't feel as harshly as I do about the agency itself - but when KCPD's Officer MARK REED abused a 10-year old "relative" an August article said that although Reed was CONVICTED of the child abuse, he will REMAIN ON ACTIVE DUTY until sentencing. Reed DENIED guilt, was FOUND guilty, and still stays? Really? That's SYSTEMIC abuse of children. ALLOWING IT, from command ranks. Reed can't restrain himself with whom I will presume is his son - only ten - but he can have a gun and powers to arrest citizens? He can't even own up to it, admit he DID it - and KCPD keeps him? Was beating his son(?) his own private business? A personal issue? WORD - it's not personal. It's a CRIME that demonstrates a loss of control over one's self and a predisposition to give-in to RAGE. Any reasonable non-law enforcement person will agree that is NOT who should be or remain a sworn officer. What's that say? What was the message to the other officers? How above the law did their agency let them know they ARE? And if Reed had been dealt with appropriately - jailed and fired - what would the message have been? Would Officer Minet have heard it? From what I've seen the only thing that changes things in a department as brazen as Kansas City's - the only course of action that seems to have the POWER to have an impact - is to hit them with multi-million dollar lawsuits. That's sad, but it seems to be way it goes. The only language that appears to get through. Kansas City Police Officer Nicholas Minet beat up his girlfriend's daughter. Just a baby. Only two years old. Alyssa Eickmeir and those who love her are standing in the need of prayer. Friday Alyssa was in critical condition with brain injuries, a fractured skull, bruises on her forehead, on her back, on her neck, and an adult human bite mark on one of her legs. But the news tonight I'm reading says the doctors are not holding out a lot of hope because of brain swelling. For legal reasons her mother isn't being allowed to be by her side. I'm too sad for everyone to even be angry. If we could just turn back time a little tiny bit. [MS] Newly retired Major McClendon's defense for killing Angelia? 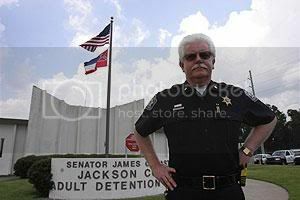 It sure is looking like former Jackson County Jail Warden Major Randy R. McClendon, who retired as warden of Jackson County Adult Detention Center in June - TO SPEND MORE TIME WITH HIS WIFE ANGELIA - will claim "nonviolent abuse" as his defense for MURDERING her. "...How could the department fail to follow up after Milford police alleged that the officer threatened to kill his ex-wife with his department-issued firearm? More to the point, how could Police Chief Bruce Rinehart have said that there was an internal investigation? The public now learns... that no such investigation was done... It is mind-boggling conduct by the New London Police Department leadership, especially when the matter involves a police officer who has been arrested six times on domestic-abuse charges and was the subject of several restraining orders..."
Charlotte County Officer Kathleen Hill was charged with second-degree murder. She shot her husband, Shawn Hill, 32, at least two times in the chest. The oldest child saw his father beat his mother. Doctors for both the defense and the prosecution testified that she suffered from depression and post-traumatic stress disorder because she was a battered wife. Friends and co-workers testified about her bruises, black eyes and limp. Former corrections officer Kathleen Hill killed her husband when she pumped three bullets into his chest. But she was freed Wednesday to go home to her three children. The judge said he believed the man she killed, Shawn Hill , sexually tortured and abused her. In the past 20 years, more defense attorneys have turned to battered spouse syndrome to argue self-defense. Yet, it's unusual for any convicted killer -- even a woman driven to kill by her tormentor -- to get off without serving prison time, a Stetson University law professor said. But in the case of Kathleen Hill , doctors for both the defense and the prosecution testified that she suffered from depression and post-traumatic stress disorder because she was a battered wife. If Hill meets the conditions of her release, she will never see the inside of a prison. Circuit Judge Frank Porter sentenced her to two years of community control, a form of house arrest, and 28 years of probation. He suspended a 10-year prison term she would serve only if she violates probation. "I am mindful, very mindful, of the effects of both the defendant's and Shawn Hill 's actions as they relate to their children," Porter said. "I'm bothered most by what the children have endured." At least the oldest one saw his father beat his mother. 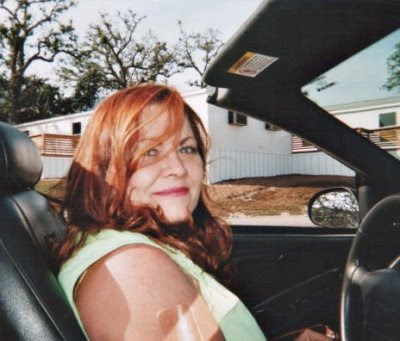 The children -- ages 4, 11 and 13 -- were home when Kathleen Hill fatally shot her husband Oct. 22, 2004. Suddenly, they were fatherless and faced the possibility of losing their mother, too. Hill testified Tuesday that she stayed with her husband mainly for the children. Hill , a law enforcement officer who owned two guns and was trained to use them, said she endured years of brutal beatings. Friends and co-workers testified about her bruises, black eyes and limp. All three psychiatrists called to the stand testified that she showed the symptoms of battered spouse syndrome. The consensus of the doctors influenced the prosecutors' decision to offer Hill a plea bargain, Assistant State Attorney Martin Stark said. 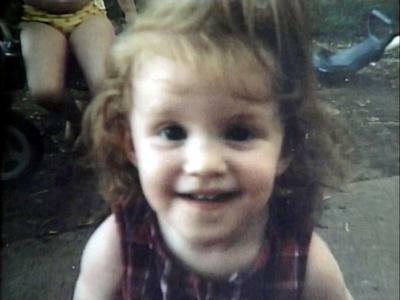 On Sept. 11, Hill pleaded guilty to manslaughter, instead of second-degree murder as she was charged. As part of the deal, she was promised a maximum sentence of 10 years in prison. Cases involving battered spouse syndrome are "tough," Stark said. Allegations that would be excluded in other cases are admitted to show the defendant's state of mind. "Everything that makes them a battered spouse comes in," he said. "The only person who could respond is dead." The Florida Supreme Court accepted the battered spouse syndrome as an argument for self-defense in 1993, said Robert Batey, a criminal law professor at Stetson University College of Law for 30 years. "More and more states are accepting that evidence and allowing it," Batey said. "Florida has followed the trend." But Shawn Hill 's family said the degradation of his reputation is worse than Kathleen Hill not being sentenced to prison. "If I didn't know Shawn, I would have sworn he was the devil himself" after listening to defense testimony, said Leroy Washington, Shawn Hill 's brother. "If all those people were aware of this abuse, why didn't they say anything to the people closest to Shawn -- his family?" Washington asked as he stared at Kathleen Hill . A handful of Shawn Hill 's siblings and a niece testified they never saw signs of abuse. Before announcing his sentence, the judge addressed the family. "I truly feel the pain of the Hill family," Porter said. "I feel compelled to tell you no matter what sentence is imposed today, it's not going to feel fair in your eyes. I would feel the same way in your shoes." When they learned the sentence, several of Shawn Hill 's relatives cried. Kathleen Hill , who sobbed during her testimony, stood before the bench, her jaw quivering, to learn whether she would be separated from her children. She never smiled and walked out of court without saying a word. Her husband's aunt, Antoinette Harris, was disgusted. Outside the courtroom, she said men in her neighborhood have been sent away for 15 years on drug convictions, much less murder. "There should never be another black person arrested in this county ," Harris said, noting Kathleen and Shawn's interracial marriage. "This is a black/white situation."